Enerquip is the only shell and tube exchanger company that can deliver custom stainless exchangers in half the time of the industry average. Enerquip’s shell and tube designs are manufactured according to TEMA guidelines with straight tubes, or U-tubes in shells ranging from 2″ to 48″ in diameter. Each heat exchanger will be build according to the requirements of the appropriate TEMA class for your application and environment – Class B, Class C and Class R.
Although Enerquip can design ASME code stamped heat exchangers for operating pressures as high as 3,000 psig, our standard heat exchangers are usually designed for 150 psig at 375 degrees F. We also provide heat exchangers that meet 3-A, PED, MOM and ANSI codes. A CRN (Canadian Registration Number) can be obtained for any of the Canadian provinces. 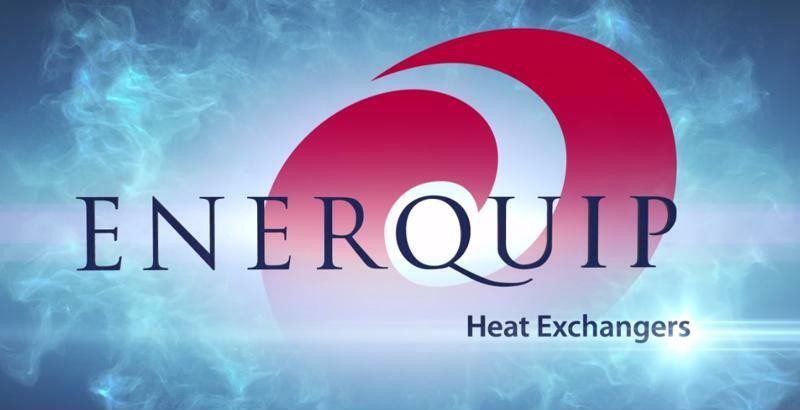 Enerquip fabricates shell and tube heat exchangers from a wide variety of stainless steel alloys, from common 304L and 316L to duplex stainless teels like 2205, 2507 and Zeron 100. We also use corrosion resistant alloys like Hastelloy, Alloy 20, Monel 600, AL-6XN, Titanium and copper-nickel alloys. Because Enerquip respects our customers’ concerns about cross-contamination of materials, we do not work with carbon steel in our facility. Because of our stainless buying power, we are normally able to offer a 100% stainless steel exchanger in a competitive price compared to carbon steel. This gives you higher value and lower maintenance costs on your equipment. Special Requests – Just Ask!